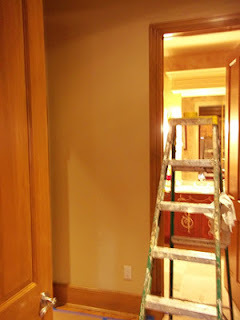 I made a post on June 12th - http://www.everythingicreate.com/2013/06/mural-repair-on-remodel-job.html about repairing a mural. My new project with the same mural is to connect the 2 mural areas in the hallway where it is located. 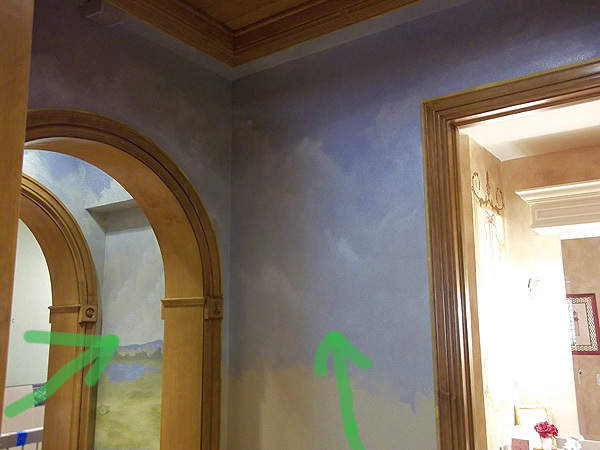 The first 3 photographs show the hallway area where the mural is going. Notice the green arrows, they are pointing to one side of the mural which is the area of the hallway I repaired on June 12th. 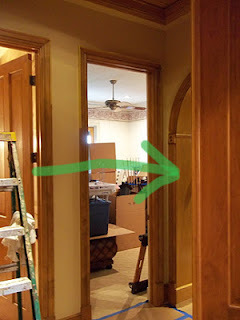 In the next photograph the green arrow points to where the main area of the mural is. 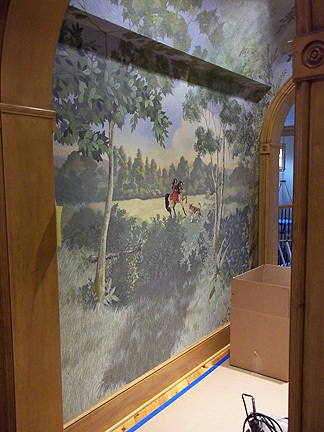 The next to views show the main mural. 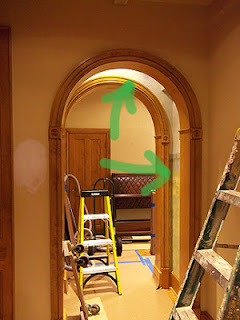 The arched ceiling is painted all the way around to the other side and the same amount of area there has the mural too. 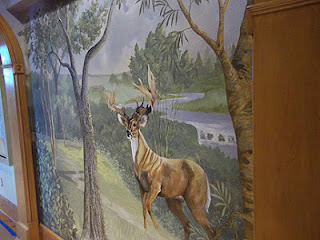 I have no idea who the artist was that did the original work. So my assignment is to connect the 2 mural areas. I got started today on the sky and as you can see in the next photograph I got a good start and an excellent match of the sky color. Just as I mentioned in my June 12th post there are 2 main aspects of matching artwork, the first is getting the color correct and the second is to mimic the 'stroke' of the original artist.